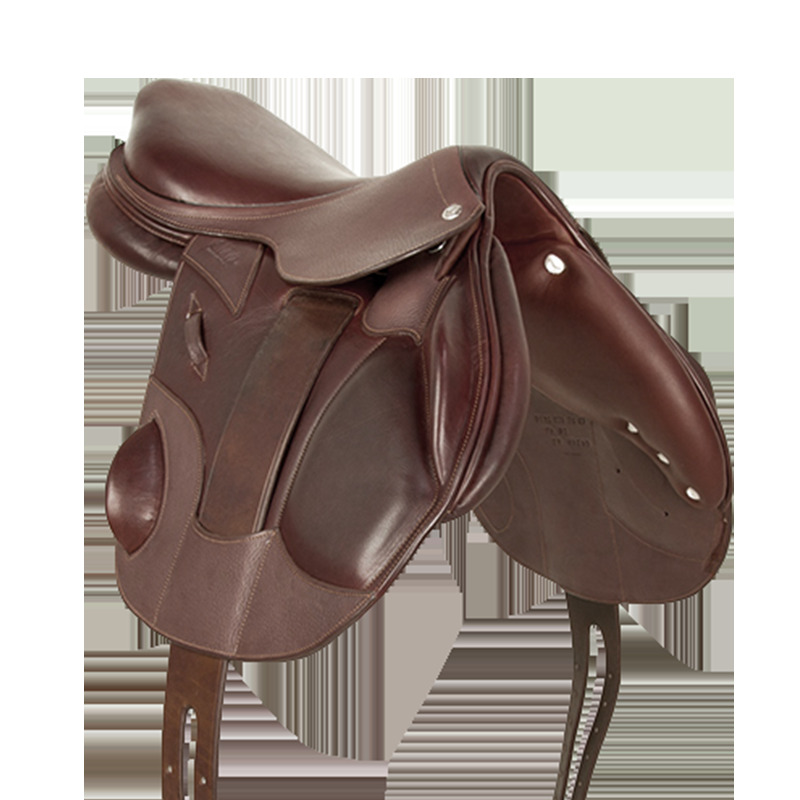 The original design of this flat cross country monoflap saddle offers an optimum contact feeling between the rider's legs and the horse. Its longer flat seat allows the rider to switch positions more easily. For the rider, it provides a feeling of permanent contact with the horse which allows him to have more precise actions. Contact is unrivaled thanks to the monoflap and a lower cut of the saddle flap around the stirrup bars (only one layer of leather under the skirt). Front and back blocks ensure correct legs position. The innovative girthing system that passes over the flaps better maintains the panels in place. 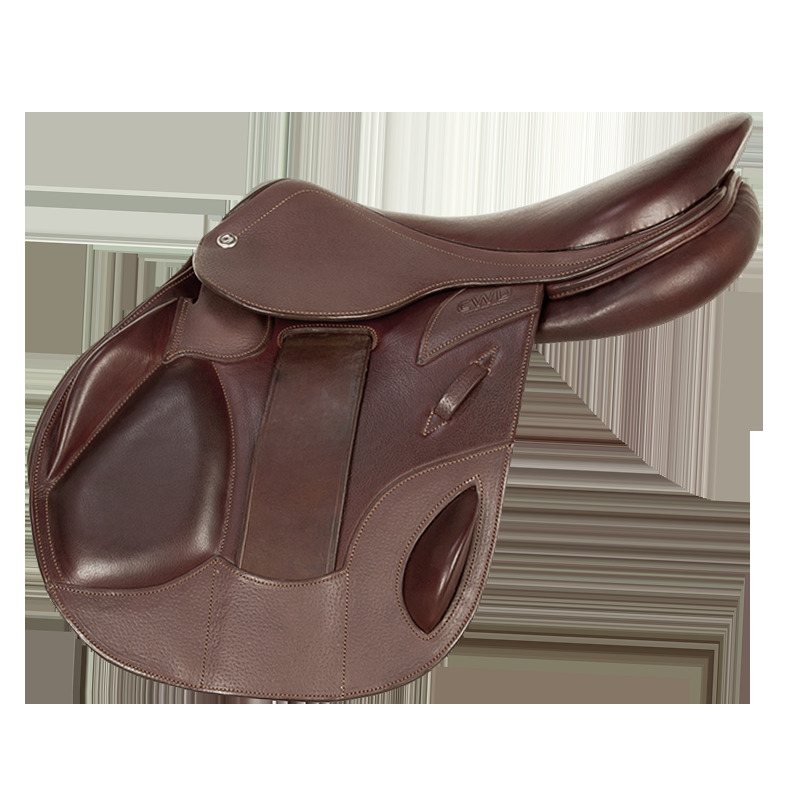 The flat seat saddle is designed for jumping and offers an optimum close contact feeling. It provides the rider with a freedom of movement, and ensures a mobility of the center of according to his riding style. Also available in buffalo. *Starting at $5.350. For any request about our prices, please contact your CWD local representative.